Paige and Parker met in high school; their relationship developed into nothing short of a classic love story that we all look in on and fondly admire. Their wedding was the magnificent culmination of their love and the grand entrance into their life together. Simply stated this couple and their day, captured timeless elegance, which I was honored to be a part of in the smallest of ways. When I was brought in to assist with the nuptials of Paige & Parker it was only 4 short months before the big day. This isn’t uncommon, and what I enjoy about offering this a la carte service to clients is that they might be the most prepared in every way, however, knowing that when it comes to last minute items leading up to the day-of celebration someone on-site will alleviate stress and really help everyone enjoy what is meant to be enjoyed. 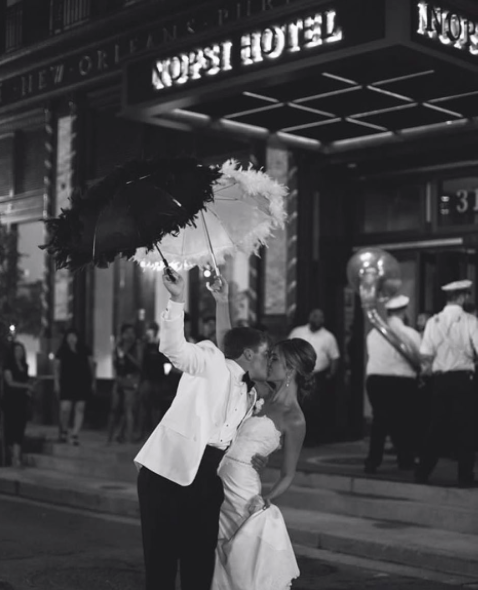 The magic of Paige and Parker’s day was enhanced by the fact that they had the honor of being the first wedding and event at New Orlean’s newest luxury hotel; The NOPSI - New Orleans Public Service Inc. 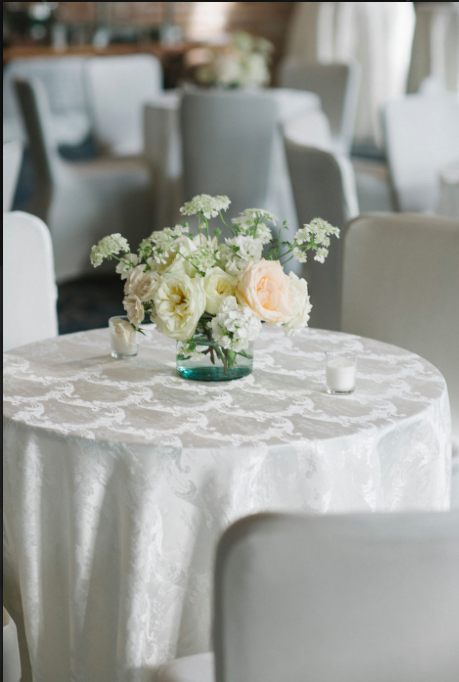 Built in 1927 and formally the power and transportation headquarters of the city, this historic landmark has been completely remodeled to a charming, elegant and classic venue, just blocks from the French Quarter with amenities to enhance the smallest of events. Being the first to “test” the venue, Paige and Parker are event featured on the website; http://www.nopsihotel.com/celebrate/overview. This couple had enough trust in this venue and a vision of of their day, with me by their side, we worked through the logistics and helped to set procedures and practices that will be used for many events to come on-site. The Spanish Oak Events team cannot say enough about the NOPSI Team, polished and patient and completely accommodating. What additionally stood out with Paige and Parker was their vision of their day. Intentional planning and selection of vendors is what set this couple apart from just anyone planning a special event. The couple outlined and identified their expectations, and when they communicated that to the vendors they had interest in, it was clear right away if those expectations could be met. As I have mentioned before, I don’t like sharing too many moments from these special events. I do my very best to honor the sanctity of the day shared between family and friends. That being said let me tell you about Andrew No-Pants! With 8 bridesmaids & groomsmen, as well as 8 users, this wedding party was the size of small town, at least where I come from. The bridal party’s efforts in celebration was nothing short of a celebration we all want to be invited to and a group we wished we were all apart of. It became the effort of all the groomsmen and ushers to hoist Parker, the groom, in the air and throw him above their heads, with such gusto; Andrew, a groomsman, split his pants, from tail to toe, not once, but twice. Needless to say Andrew No-Pants earned his name and required my team to track down a pair of tuxedo pants 34 x 32 at 6:45pm on a Saturday. Often when working within a budget, or timeframe or any other limiting confine; selecting the appropriate vendors can be overlooked as we just need to check a box or make a fast decision. However, knowing that your expectations can be met by the particular vendor is critical. If you ask a fish to climb a tree they will fail every time; Albert Einstein said some version of this and the way I look at it is that you can’t ask vendors to do something they aren’t able to complete in the first place, they will fail and you will get frustrated. The intentional selection of vendors to meet your expectations is extraordinarily critical to the success of an event. There is a very common saying; “you get what you pay for,” and at times that absolutely applies to the world of events. However more importantly, and often overlooked; is my mantra; “you get what you communicate you want.” This not only applies to vendors, but it also applies to the relationship between myself as a planner and the clients that I work with. While not everything can be predicted or prepared for in the world of events; the Andrew No-Pants of these celebrations make my time worth it. I enjoy working behind the scenes so brides can stay on the dance floor all night and not worry about if the band can play an extra hour. I work diligently with vendors in advance so the venue knows when the bride and groom are having a first look, no one else should sneak a peek. I ask the questions that allow me to discern who can fulfill the expectations set by not only the bride and groom, but also the parents and guests. It was truly a celebration I will always hold close to my heart. Cheers to the new Mr. & Mrs. Galloway! Giving credit where credit is due, below is the team that helped make this magical day come together. I can’t use the word class enough with this couple. From the moment of our first interaction both families were gracious, helpful and full of class that extended beyond the event but also in the personalize thank yous sent. Paige looks elegant in her dress picked at Town and Country Bridal. What I love about weddings in New Orleans is the traditions. The second line experience is so magical and fun and a photographer's gold mind! 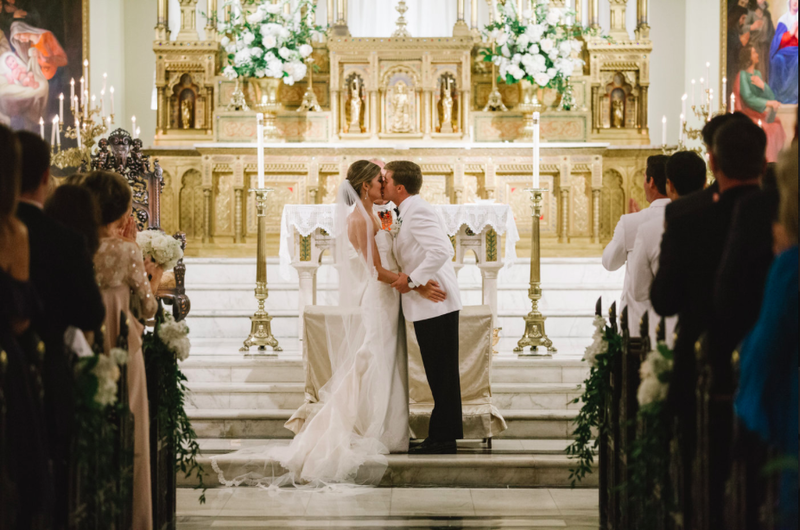 Paige and Parker were lead by The Wise Guys from ceremony to celebration and this image was captured by Caitlyn B Photography. Just because you’re a classy bunch, doesn’t mean you don’t know how to have fun, and this group mastered the art of fun. Here is Parker in one of the MANY moments his feet were off the ground and I was cringing in the background waiting for the worst! Thankfully Andrew No-Pants was as bad as it got! You know a florist is special when they don’t have a website or social media links and it takes a few calls to get a call back or someone on the line. Advertising is not needed for this seasoned professional. Meade Wenzel, is well known within the New Orleans event circle, and the results speak for themselves. Simple, classic, fresh and exactly what you never knew you always wanted. Keep calling; it’s worth getting ahold of this vendor. It was a goal of Paige and Parker’s that they didn’t want to leave the dance floor the entire night; mission accomplished. Although the evening had to come to a close; Paige and Parker have the rest of their lives together to make memories as special as this. Captured by Caitlyn B Photography; the newlyweds exiting through an avenue of their loved ones, waving ribbons and sending them on their way to begin their honeymoon.